I wanted to write a brief (well, I’ll try) explanation of how my carefully planned series of four books about the life and times of Alix became six. I didn’t want to write six, I didn’t plan to write six, I just ended up having to do it, to my endless misery, but I hope not to yours. I’ve spent the last three or so decades somewhat obsessively researching Alix through what she didn’t burn, a few diaries, her enormous correspondence to Nicholas – though a great deal of it, most of it in fact, is limited to the war years – and other sources, such as memoirs and records of police interrogations. These other sources are a goldmine. That was a time and place where people had begun to record their thoughts and observations, and they left thousands upon thousands of pages of words, and a lot of those words concerned Alix. Confusingly, Alix was painted in the memories of those who knew her as either a saint or maybe the worst person imaginable. This conflict of opinions continues right up until the very end of her life in the memoirs of her captors. But I didn’t see her that way. I never have. I think she was a great deal more ordinary and neither particularly saintly nor a monster of evil manipulation. Nor do I think she was insane. I think her life was insane. 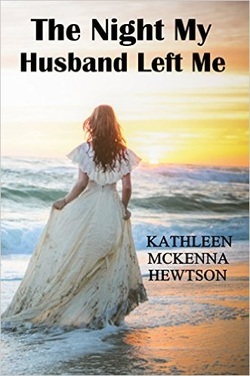 I came to believe – and it is how I’ve tried to present her – that she was an ordinary girl (well, ordinary considering her outstanding beauty and a fairly elevated beginning to her life), who married into the most extraordinary family that ever lived. Imagine marrying into that. And while Nicky was not as bad as some of his ancestors in obvious ways, he was, to say the least, challenging, as was every living Romanov of Alix’s time. To me, this made her one of the most fascinating people who ever lived, for what is more interesting than the predicament of an ordinary girl thrust into the strangest family on earth and given more power and money and danger than most of us could, or would wish to, dream of? And to me, her whole life is of interest, not just her death, which has been extensively covered by others. Obviously I have to deal with this as well (in Book Five) and I do, but in writing her story I just couldn’t decide what to cut ... what not to tell. So, in the end, I decided to tell it all and that fills five books. And no, don’t even say, “Couldn’t you have edited it down?” because it has been. If it hadn’t been, there’d be ten of the things, a private encyclopedia series of Alix. So I hope you’ll forgive me for the extra book and the time it takes to read it, but I think there were too many interesting people and events to cut them out and maybe it will help us all understand how it all went so wrong. 1914, and the intense shadows of an unexpectedly fiery summer that is burning up the whole of Europe are hiding beneath them the darker shadows of the “war to end all wars.” And these shadows, in turn, are concealing the darkest shadows of them all – those predicting a violent revolution that will draw to a shocking close the Romanov dynasty in Russia that will devour its children. 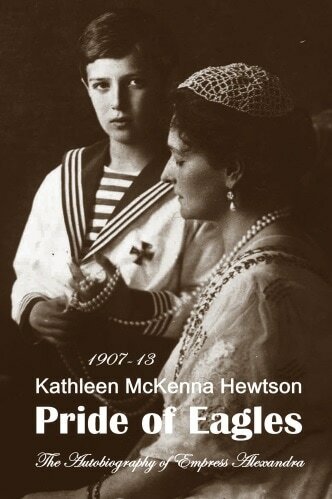 Meanwhile, Empress Alexandra, always more focused on what is happening right there in her boudoir, is more concerned about the possibility of a palace coup, as she suspects that her disconcertingly uppity bosom companion, Anya Vyroubova, is intent on playing more games than just tennis with her increasingly distracted husband, Tsar Nicholas II. Diana, formerly the Princess of Wales, emerges from her coma some fifteen years after her ‘fatal’ car accident in a Parisian underpass on August 31, 1997. … Which gives her plenty of time to review her life and to ask a series of question based on one word – Why? Why was Prince Charles so cold to her from the very beginning? Why did he grow to hate her so much so quickly? Why did he and his favourite ride, Camilla, go out of their way to torture her, seemingly at every opportunity? Why was she given so little support by the Royal Family, given that she had almost singlehandedly restored its popularity and saved the day? She might have to answer another question along the way as well – what part did she play in her own downfall? One final question – will she ever meet Prince Charles and her adored children again? Maybe, but first she will have to get past the Queen, who is on her way right now, having heard that Diana has regained consciousness and might be planning a comeback. After the near-catastrophic events of the Russo-Japanese War and the 1905 Revolution, the years 1907-13 passed relatively peacefully in Russia as Chief Minister Stolypin steered the country away from war and civil disruption, and toward industrialization and economic prosperity. However, in Tsarskoe Selo, the closeted domestic life of the Imperial Family was far from calm. While Emperor Nicholas II cloistered himself away in his study, Empress Alexandra struggled with her own chronic ill-health and that of the light of her life, the Tsarevitch Alexei, whose hemophilia threatened the future of the House of Romanov as it approached its tercentenary. The only person holding out the promise of a cure for Alexei’s illness was a wandering holy man from Siberia called Rasputin, whose wild and licentious ways stoked outrage and hatred against him among ruling circles every bit as much as his apparently miraculous healing powers built the Empress’ devotion. As Rasputin put it, so long as the Romanovs kept faith with him, all would be well; should they be involved in his death, they too would be destroyed. ​And then there was the Empress’ constant companion, Anya Vyroubova, whose guileless appearance and behavior masked an astute and scheming nature. Her alliance with Rasputin was to undermine yet further the public reputation of the Empress, and therefore ultimately that of the Emperor himself and of his dynasty. Empress Alexandra is triumphant. After producing four daughters, who are regarded as of no consequence by her mother-in-law, Dowager-Empress Minnie, and the court, she has at last given birth to a son and heir, the Tsarevich Alexei. This success, after so many years of praying, hoping and despairing, will not ensure her popularity in Russia, but it will at least convince everyone that Alix has fulfilled her primary duty as an Empress, which should in turn gain her more freedom to live as she wishes amid her cozy little family and away from the burdens and responsibilities imposed upon her by her position. ​However, her euphoria is short-lived when little Alexei starts to show signs of suffering from the 'English Disease,' hemophilia, that has killed so many of Alexandra's family and which she knows she has been responsible for passing on to her little baby, Alexei. Her pain and guilt at his appalling suffering is unbearable and the knowledge that Alexei will be unlikely to live to adulthood absolutely crushes the already fragile Nicholas. Worse, the war between Russia and Japan is becoming an ever-greater disaster by the day, fueling widespread strikes and civil disobedience in St. Petersburg that could possibly lead to outright revolution. Will the Imperial Family be forced to flee Russia altogether? Then a man is miraculously introduced to Tsar Nicholas and Empress Alexandra who appears to offer them renewed hope, not only for the recovery of their son but also for the recovery of the Imperial Romanov fortunes in Russia as a whole, a man who calms Alexei with his prayers and even stops his bleeding, and who exhorts the “Tsars,” as he calls them, to “spit on all their fears, and rule.” Here is a peasant, a wandering holy man, come to save Russia in that long-hoped-for alliance between the tsar and the people. Rasputin will save Alexei; he will save Nicholas and Alexandra; and he will save Russia. The love story of Tsar Nicholas II and Tsarina Alexandra of Russia has long been considered a fairytale romance with a startlingly tragic ending, when the entire Imperial Romanov Family was shot and bayoneted to death by a Bolshevik firing squad in a cellar in Ekaterinburg on July 17, 1918. Nicholas and Alexandra were famously devoted to each other, writing each other cooing notes daily, but successive tides of political, military, and then revolutionary, history swept them away. At least that is the received wisdom, but the truth is somewhat more complicated. Tsar Nicholas never wanted to be Tsar, was never trained to be Tsar, and indeed proved to be catastrophically inept in the role. 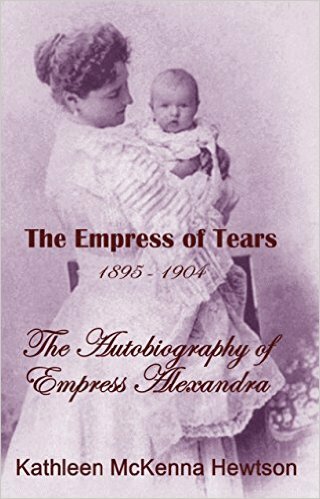 Empress Alexandra was stunningly beautiful but socially and physically clumsy to the point of being repellent to her mother-in-law, Dowager-Empress Marie, most of the Russian court, and therefore by extension to the Russian people at large. 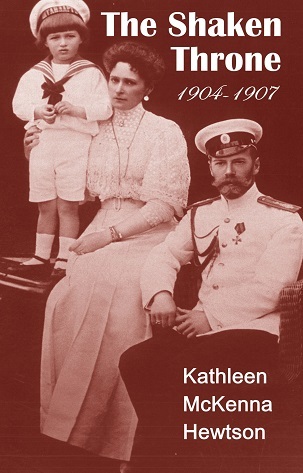 When King George V of Britain heard of the executions, he remarked that, as they regarded Nicholas and Alexandra, they were probably for the best, but the children’s deaths were truly tragic. 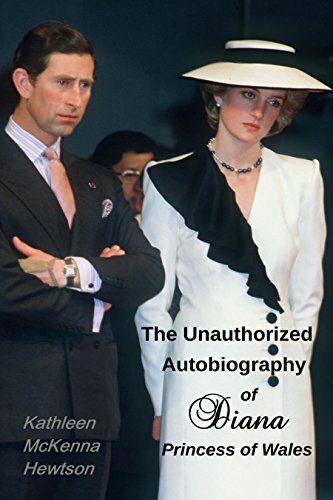 The British Ambassador to France, Lord Bertie, reported that seasoned diplomatic observers considered Nicholas to have been criminally weak and Alexandra to have been criminally insane. So what is the truth, and what was the truth as Empress Alexandra saw it? 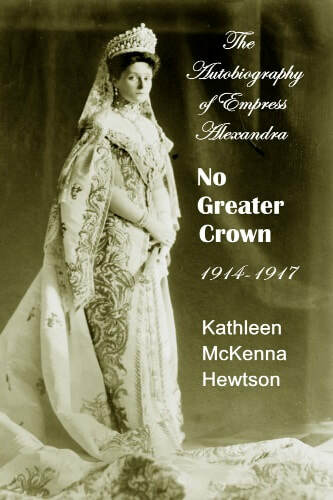 Pulling together what is known about Empress Alexandra and her family, and indeed much that is little known, in the ‘Autobiography of Empress Alexandra’ series Kathleen McKenna Hewtson is placing the reader in Empress Alexandra’s shoes and behind her eyes from the moment she first met the heir to the Russian throne, Nicholas Romanov, when she was twelve, to the early morning that she and all five of their children died violently at his side. Less a gift than a curse! 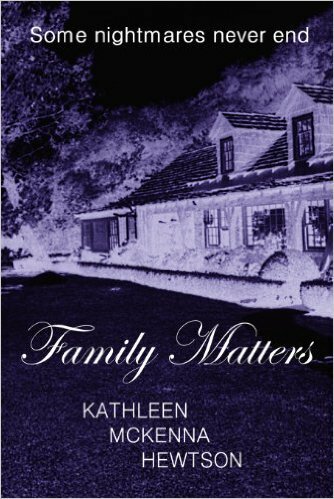 Leann wasn't good enough for her upper-crust in-laws, so they gave her the mansion none of them wanted. Years ago, something or someone in the house killed Leann's brother. 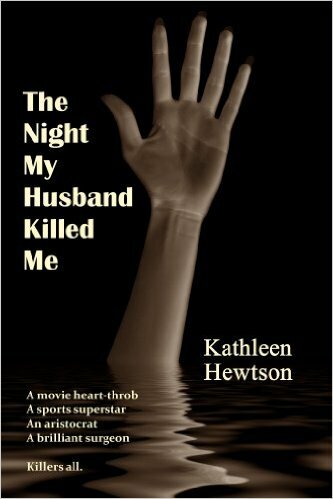 Will its violent secrets kill her next?
" . 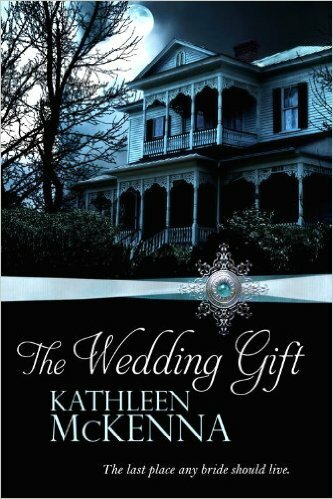 . . a spine-electrifying supernatural tale where a huge Southern States mansion contains one of the most terrifying, violent and indeed psychopathic ghosts to haunt any town. It is also a murder mystery--why did Robina Willets apparently kill all five of her young children, and her husband, before stabbing herself to death? And, if you are in the camp of believing that 'Justice . . . just is not,' then this will have you frothing at the mouth with righteous social fury." When Izzy Stanley, an ambitious TV broadcaster, hears that Susan Atkins has petitioned to be released from prison to be allowed to die peacefully at home, she cannot resist making the wise-crack on air that Susan Atkins' petition is only fair as she herself helped Sharon Tate to die peacefully at home in her turn. Her impromptu remark inevitably provokes a tumultuous response, and prompts Susan Atkins herself to demand to see her to explain her perspective now that she has found God, which seems like the journalistic coup of the century. Even better, Izzy suddenly realizes that she herself bears an uncanny resemblance to Susan Atkins' victim, Sharon Tate, a stroke of luck she fully intends to exploit to the full. Then she starts having dreams in which she is Sharon Tate on that fateful night. The thing is, though, they don't really feel like dreams …. A British aristocrat murders his children’s nanny, mistaking her in the dark for his wife, and disappears, never to be seen again. For forty years the British press will look for him. There will be ‘sightings’, there will be leads, but the police will eventually close the case when he is officially declared dead. For many, the whole affair was the best and most addictive of mysteries, based on a tragedy, and before that on a turbulent marriage between a breathtakingly handsome, elegant and noble gambler and an inept, and possibly insane, social climber. But for his wife, it was the most romantic and passionate of love affairs, turned sour – a love affair that would stretch beyond death itself. ​On November 18, 1978, nearly one thousand people - including over 300 children - were murdered in Jonestown, Guyana, as the Reverend Jim Jones urged them to hurry up and die. Jim Jones, for a time, was the darling of San Francisco, counting among his friends and advocates such luminaries as George Moscone, Mayor of San Francisco, and Harvey Milk, the gay rights activist. Then the San Francisco press started to take an interest in the activities of his Peoples Temple and realized it was basically a cult that abused, enslaved and robbed its membership. So Jim Jones transferred his operations to Guyana where he claimed to be establishing a Socialist paradise. It wasn't. Jim Jones merely wanted to run off with the $25 million or so he had harvested from his "flock" and eliminate the witnesses to his bizarre take on religion, and indeed Socialism, claiming he was God incarnate and that he could cure the diseased and dying. 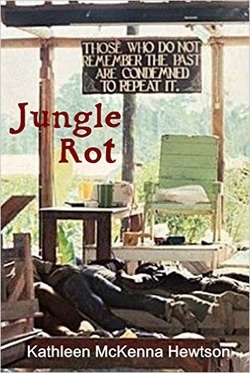 Kathleen's latest book, 'Jungle Rot,' captures the fetid and corrupt last days of Jonestown through the eyes of six eye witnesses as the Reverend Jim Jones plans to distribute Flavor Aid laced with cyanide to his confused and beaten supporters.